Now, it's time to look back into the the past 12 months again. First day of the year begin with gathering with my Homgang at home. Then followed by Leehom Music-man II concert promo in KWC. Took a day off work and surprisingly boss was okay about it. CNY around the corner so in order to earn some extra cash, made arrowroot chips (Nga ku) for sale. Sumptuous CNY reunion lunch at home. 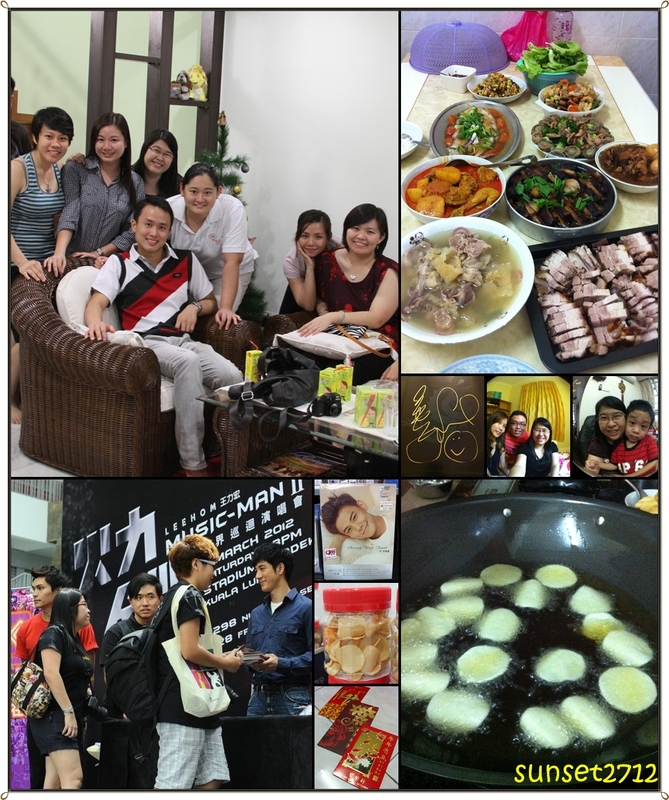 Few gatherings with high school friends which I will meet once a year during CNY. Celebrated mum's 63rd birthday before took intercity train to Butterworth to meet up with Sheffield friends. Colleagues' potluck gathering at KC Kan's house; all food were homemade! Caffeine deprived month. Can't seem to get enough of coffee dosage every morning or in the evening... hhmmm... More CNY gatherings at friends' & relatives homes. Doraemon carnival in Genting Highlands. Marsh Lunar new year luncheon in the office. Avril Lavigne "The Black Star Tour" live in Stadium Merdeka. My first and also last free seating concert there! Lousy one.. Heavy downpour during Leehom "Music-man II" concert in Stadium Merdeka. Fell sick and after recovered. I had to forgo my Phuket trip just in case I might be sick again after the break. Plus, my leave was not approved due to the new system implementation #^%$!! MY Astro music award in Genting with mum. Agehan Japanese buffet with SW & JY so long didn't meet the girl who works in UK edi. lol. The starting of 'Draw Something' frenzy! Everyone was so into the game it became the most downloaded app of that time. 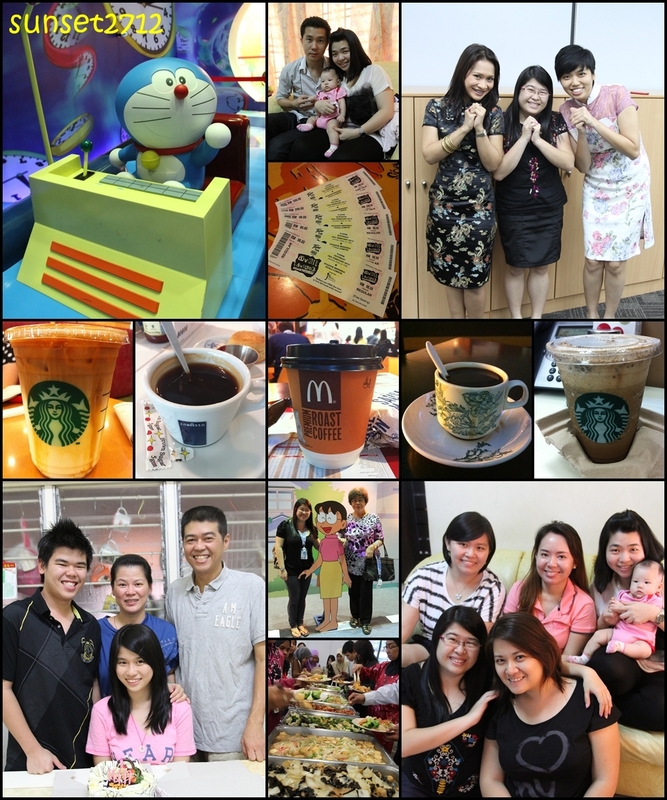 Daniel Lee's album promo weekend in One-Utama & Ikano. Got my first ever bonus from work and reward myself with a Swarovski crystal pen and Ogawa massage chair. Relaxing weekend with my Form 4 & 5 classmates at Grand Lexis Port Dickson! Stopped by Serember after PD for their famous baked/ barbecued crabs! 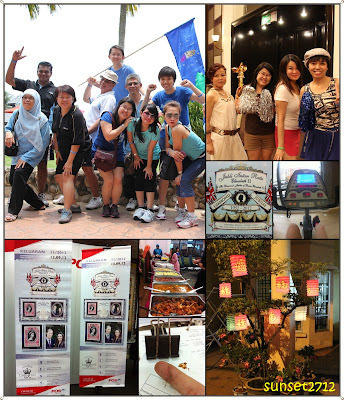 Weekend trip to Ipoh for all their yummilicious food with my Homgang. Bought sooo much of food back as well. Tried snow beer for the first time. Verdict: It's overrated. Few karaoke sessions with Marsh colleagues. Had rainbow cake during our 1st quarter colleagues meeting. Looks good, taste horrible! lol...Paid 20 bucks for a bowl of hawker stall seafood noodle in Segambut but it was worth the money paid! yumms! 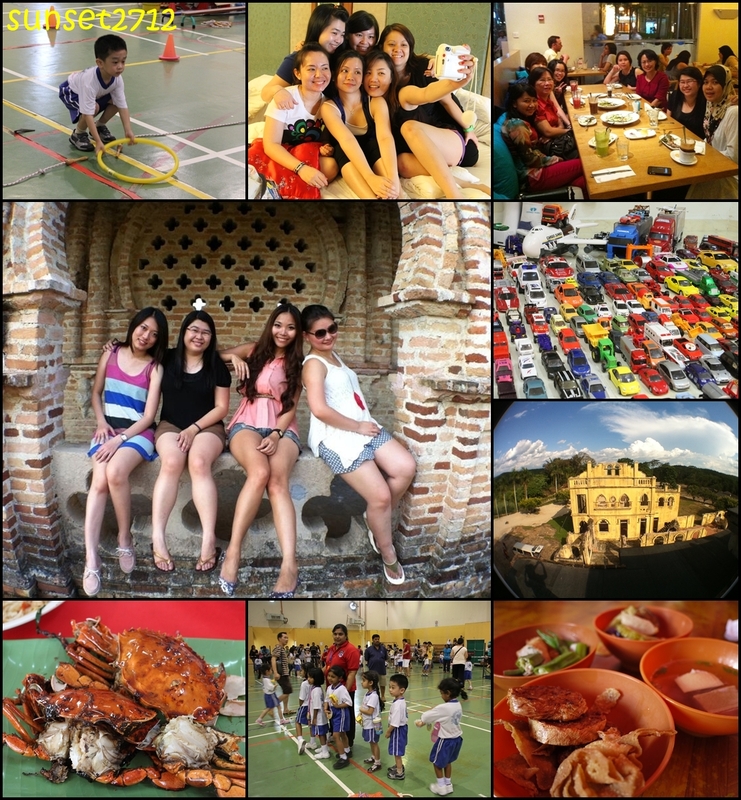 Weiwei's Qdees sports day in Andalas community hall followed by Japanese buffet at Premier hotel. Day trip to Morib with family. Chinese education charity concert held in Chung Hwa Independent High School. Lots of local acts but the reason I went is because of Daniel Lee. Renisha's birthday celebration at my sister's place. More karaoke session with colleagues. Had my first burger 'kaw kaw' at Wangsa Maju. Super delicious! 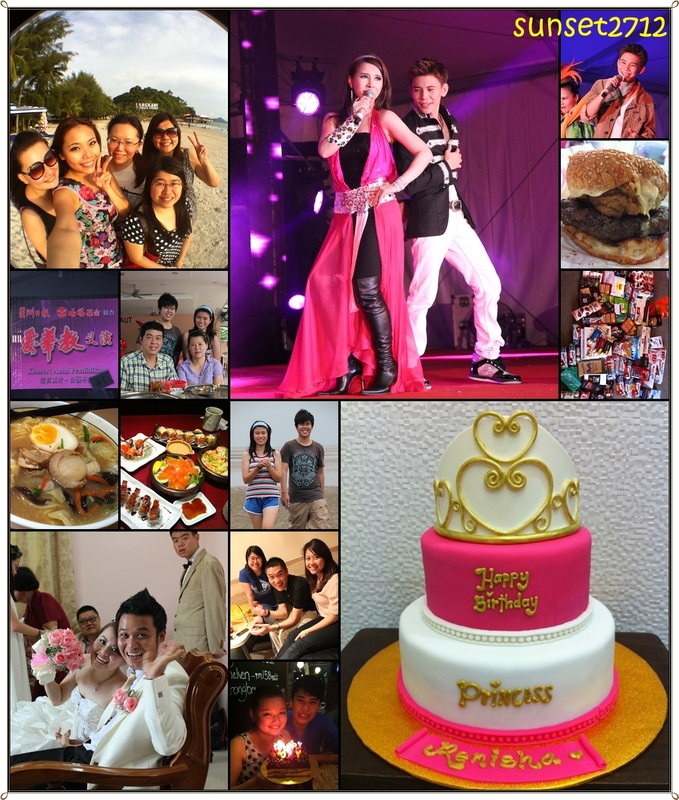 Langkawi trip with Homgang... Wow, looks like every month we've been going on trips! lol. Weekend trip to Alor Setar for Jason & LeiLei's wedding. Happy for the lovely couple! Drinking session with Juin & Caseyli coz Juin wanted to minum... hahaha... Kyrina's birthday celebration at S'mores Bangsar South. Day trip to the historical city of Malacca with JY & WK. Had my first mille crepe which was super awesome! Chill and ate to our hearts content the whole day omg. Stopped at Seremban for Barbecued crabs again. Yes, they are THAT good! San Fran coffee anniversary so free flow of coffee the entire day! 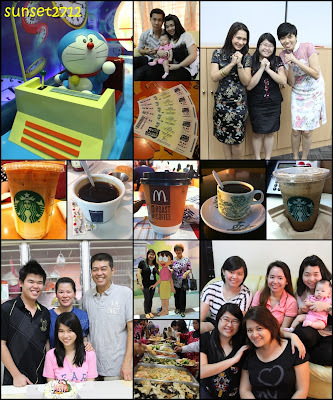 Janice Tan birthday celebration in the office. 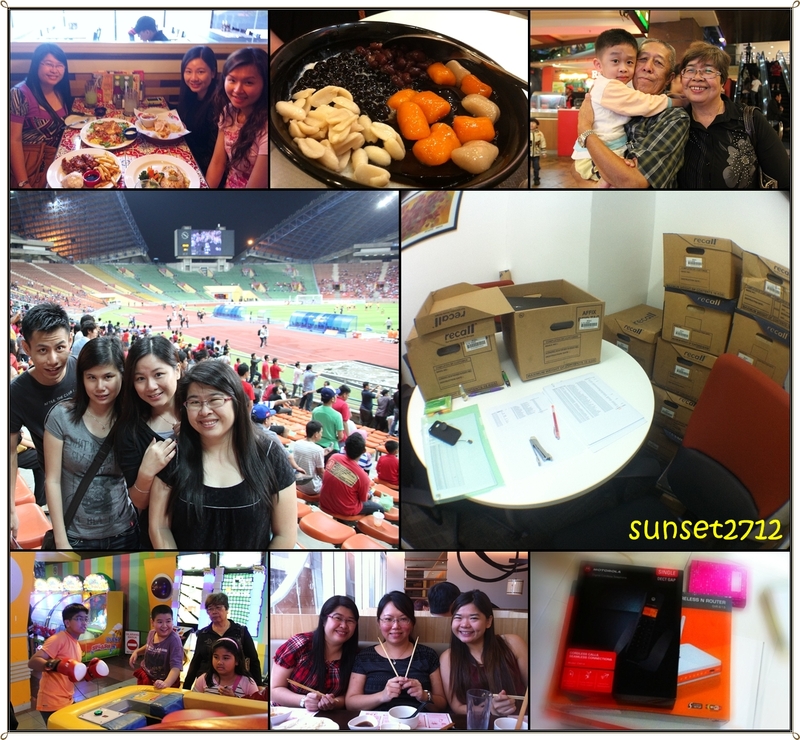 LaiLai's farewell dinner at Hokkaido Ichiba and second round at Lock's house. Thank Lock for providing us the space and made lots of noise that evening. Bought Ice cream for Mien for her birthday! lol... Joined Homaniacs for Famine-30 camp organised by World Vision and the special guest was Leehom! Applied half day leave but not approved, ggrrr.... Meet up with Danielle & SF for lunch lots of catching up. Helped Marsh to took pics of colleagues for their corporate profiles. 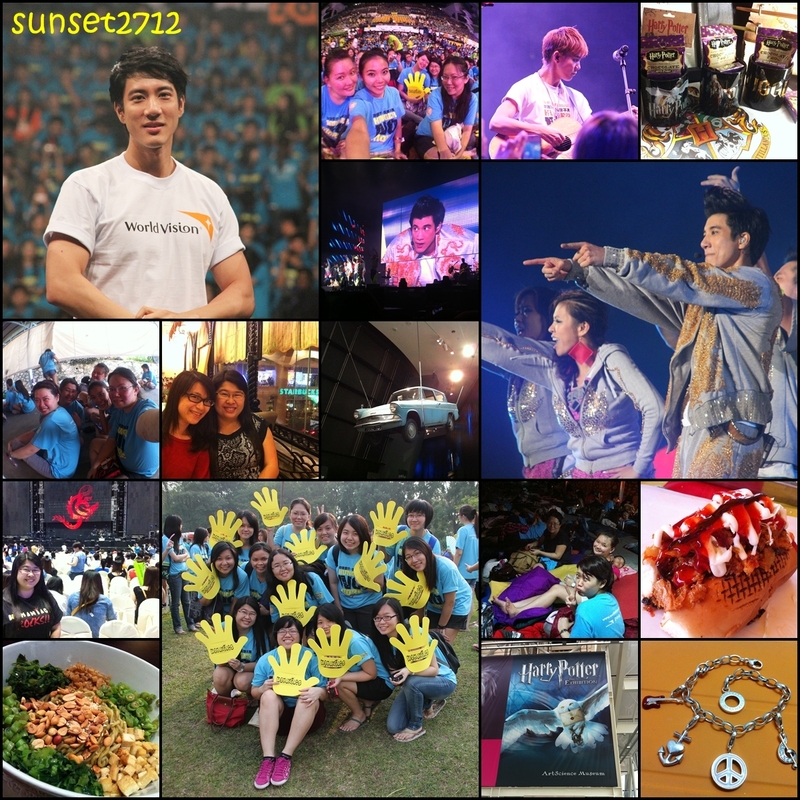 Singapore trip with Homgang and also for Leehom's concert Singapore stop! Harry Potter exhibition at MBS. Fasting month for the Muslims, we went to the pasar juadah for Buka puasa food! ^^ Bumped into Carlis & JackJack in Genting and had dinner together. Gathering with my Sheffield juniors at Munzai's house. Marsh team building in Thistle Port Dickson. Theme for this year was Marsh Olympics! lol.. did a few round of sports and all our bodies felt so tired already.... The consequences of not exercising more. Met FZ's gf for the first time. Queued for more than two hours to get first day covers in conjunction with Queen Elizabeth Diamond Jubilee with CP on a working day! lol. Decided to try out the gym in our office building for a month. Went to gym daily, for one full month! =) Mid autumn lantern festival at home. 'Rusty project' continues... curse the person that wanted so much info from the past N years... *&^%#!!! My iphone has been snatched when I was at the ktm station. Curse the bugger again! Bangkok trip with Kyrina & Caseyli. 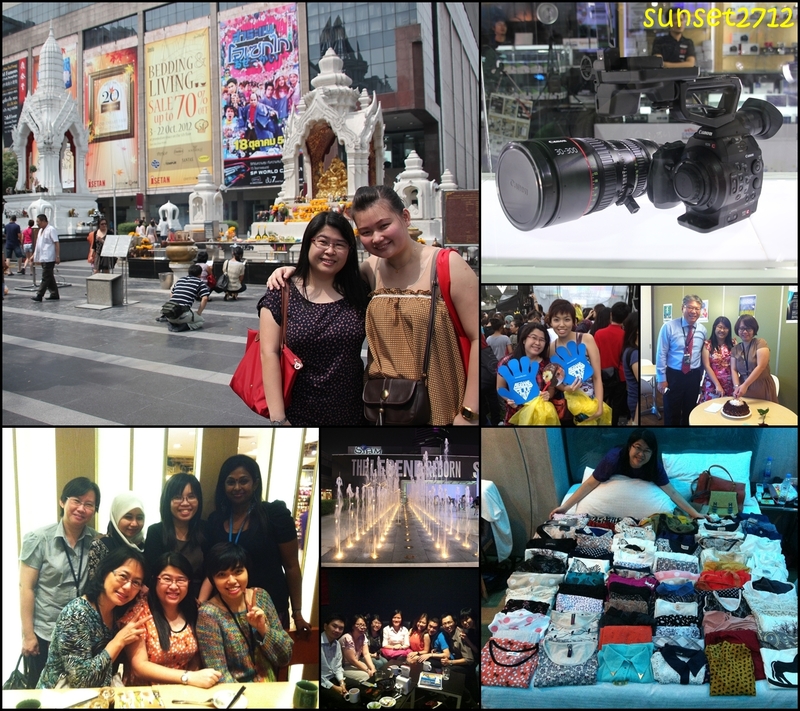 Shopped so much but only spent minimum amount of money... First time Bangkok shoping trip for me and it was great! Tendered my resignation from Marsh after some unhappiness & frustration accumulated for quite some time. Had quite a number of lunch/ dinner invites from colleagues after memo is out. Farewell lunch at Sushi Tei. I still love some of my colleagues btw! ^^ Accompanied Janice to Big Bang "Alive" concert in Stadium Merdeka. A month dedicated to traveling after tendered my resignation. 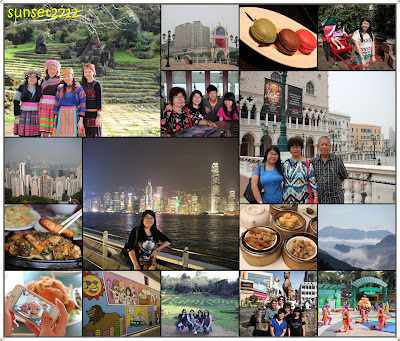 One week trip to Hanoi and Sapa with Joanne, JY & Yacheng before J's wedding next month. Family trip to Hong Kong and Macau. Another trip with mum, big bro and family to Kuching! All these holidays were fun coz I have not been to any of the places before this. Got free tickets for Elton John concert in Genting, so invited Raquel to go with me. 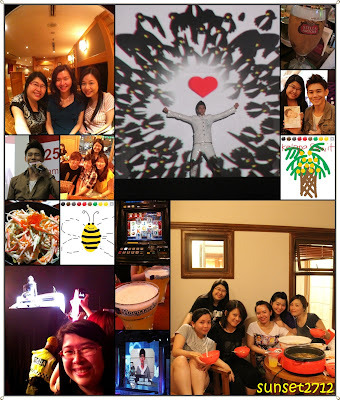 Weiwei's birthday celebration at home. Missed out the first few of Ferrari car models from Shell, so quickly asked my friends to help me get them. Luckily I have some really good friends. hehe... Worked part time for Super Asia Showcase live in Malaysia. Get to see the boys up close, but too bad I am not into K-pop. Don't know any of them but they're very courteous though. Attended few interviews and got offered two jobs. Accepted the jewelry industry one, but only lasted a week as I thought there would not be a future for me and I was a bit depressed sitting in the small and restricted office. 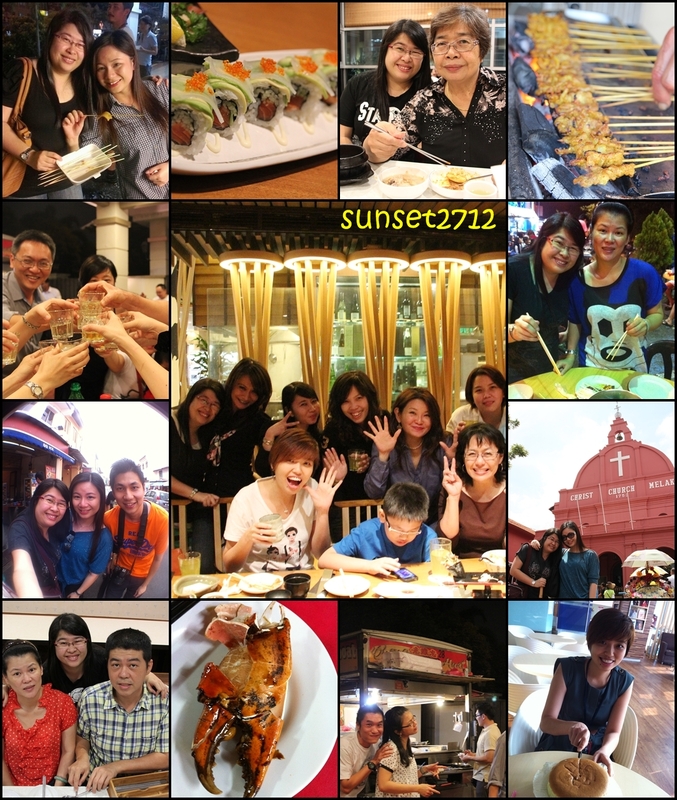 Singapore trip with Debbs & JY for Joanne's wedding on eve of christmas eve! Lightings at Orchard Rd are as usual so awesome. 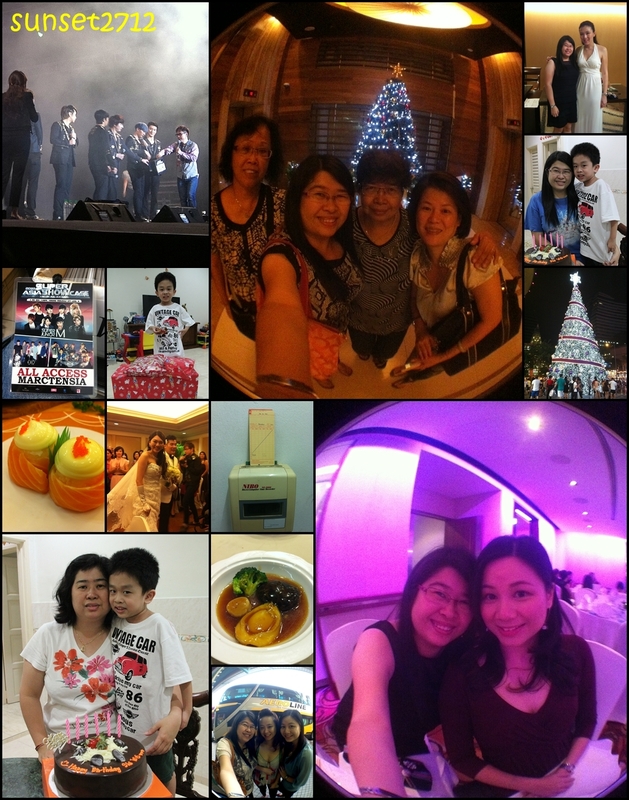 Xmas celebration in Genting with mum & SIL. My birthday, didn't do much. Just dinner and cakes with family. Well, there goes another year... 12 months passed, 365 days gone. Will 2013 a.k.a the year of the snake be good to me? I really darn hope it will!